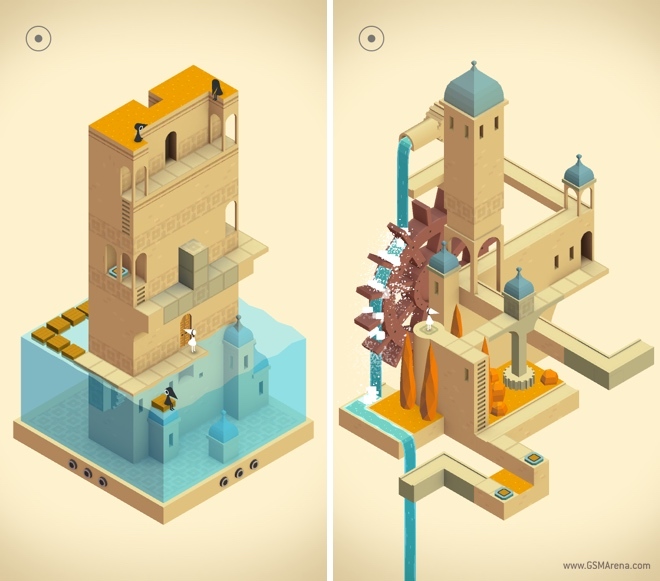 Monument Valley was one of the best games to have come out this year, not just on the mobile but in general. 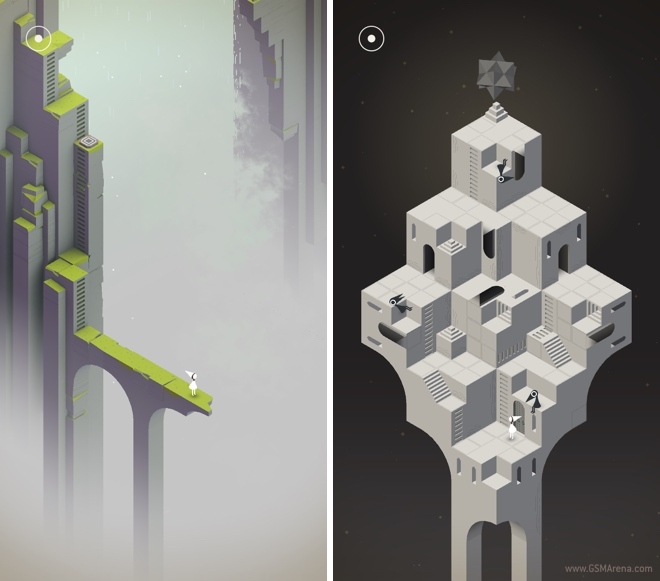 The game received rave reviews for its stunning art design, wonderfully complex levels and intriguing puzzles. It was also one of the few games we have reviewed so far that received a perfect 10 score. 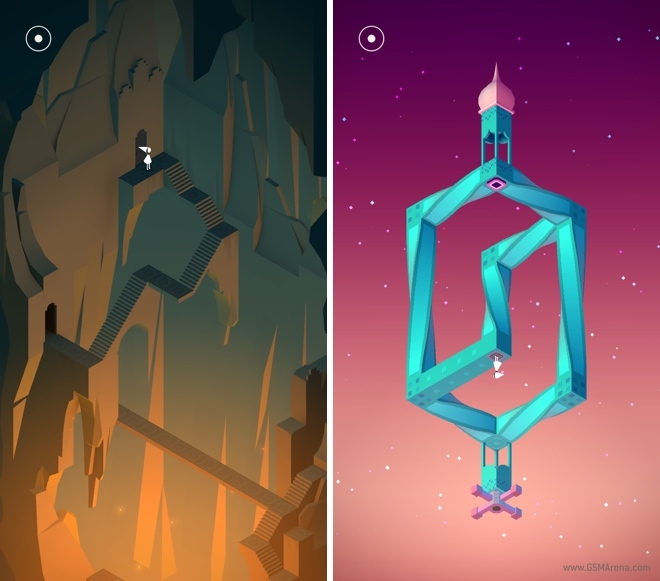 The game has also been featured in promotional material by Apple and Google. How does one follow something so successful and ensure that it’s not just as good but even better? Well, that’s what we are about to find out with Forgotten Shores, the first major update that adds eight brand new levels to the game. Let’s take a look. Forgotten Shores continues with the adventures of the silent princess Ida as she traverses these mysterious lands designed in the late M. C. Escher style. The worlds have the same wonderfully complex, impossible object design that relies heavily on optical illusions to join surfaces and create paths where none actually exist. 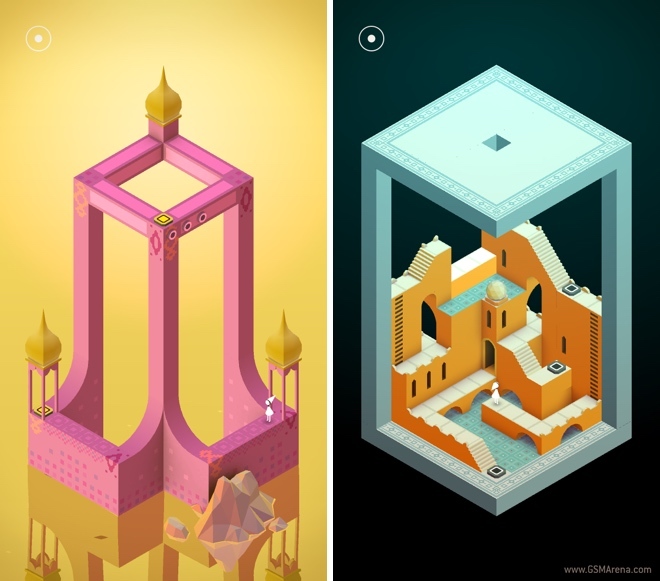 The gameplay is similar to the original levels, where you tap on a surface to make Ida move there and if it is within her reach she will just walk there. Sometimes you have to manipulate objects by moving them around to create paths for her to move to the end of the level. The level design in Forgotten Shores is just fantastic and I feel they are even better than they were in the original game. The puzzles are not difficult as such and you can figure out the level as you move, with the game rarely making you pause and think for the solution. The few times you do have to stop, it was actually quite fun to figure out the path before moving forward. One new gameplay element that Forgotten Shores introduces is the ability to twist paths. You will find levers that twist paths so they join some other surface than what they original connected. It’s an interesting gameplay mechanic and one that is used sparingly to prevent overuse. I feel the levels in Forgotten Shores are more complex than before, so even though there are just eight of them, it takes a bit longer to go through all of them. As you move along, you will meet the Crow People from the previous game, along with the trusty yellow totem pole. It’s hard to believe but the game makes you get emotionally attached to a totem pole in a way AAA games with fully fleshed out human characters can’t. This in itself is quite a feat. In the review for the original game, I gushed about the graphics. 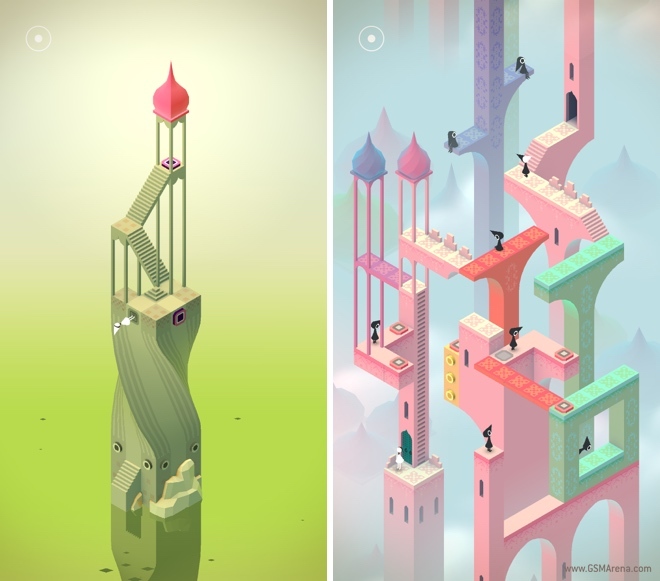 Indeed, it is one of the best looking games I’ve seen on the mobile platform, with stunning shapes and color palettes that make vivid, beautiful imagery that makes you want to just look at rather than play. 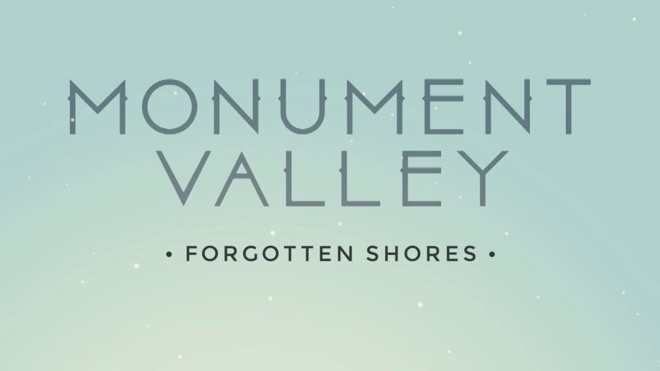 With Forgotten Shores, the developers have outdone themselves, with even more stunning level designs that are bigger and more complex than before. 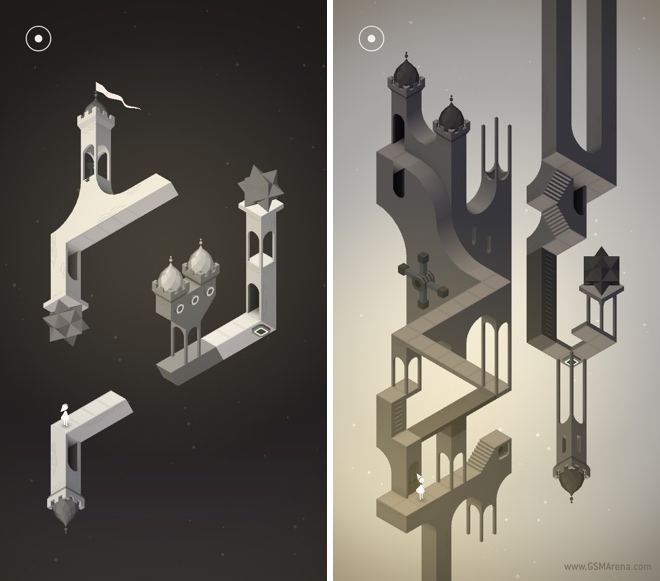 All the levels are incredibly gorgeous and look stunning on high resolution Retina displays. The music is good too. All the levels have a subtle, haunting theme that plays in the background that perfectly encapsulates the general mysterious, spooky vibe of the visuals. But what I loved the most about the sound that has been carried over in the update is when you move objects around, they all make an instrumental sound, that rings perfectly in tune every time you move them. You can move objects back and forth and it feels like you’re running your fingers over the strings of a sitar. It sounds really lovely, and makes a simple, mundane task that much more interesting. It’s hard not to be overly excited about Forgotten Shores. The original game is a masterpiece but somehow they managed to do one better and Forgotten Shores improves upon almost everything in the original game while giving eight stunningly beautiful worlds to play in. It’s a $2 in-app purchase if you own the original game and trust me, it is well worth the extra. If you have the original game there is no way you should miss this.